Set aside all thoughts about rough bands and wires hurting your breasts or straps peeking out of your tube tops. This is the age of silicone bra, the softer, lighter version of the traditional bras that has brought about a revolution in the beauty industry — a change embraced by women who want to be at their best in their low-cut dresses and backless tops. Silicone bras form the perfect undergarment for a daring top or dress when you want maximum coverage, flexibility and support as well as want to give the impression of being “braless”. One big benefit of wearing a silicone bra is that it is effectively invisible. It self-adheres to the skin, is light, breathable and comfortable and reveals no lines once in place. A silicone bra with straps is an icing on the cake as it provides additional security, tremendous support and comfort without the drawbacks of traditional bras. When you need that additional support, the no-slip, super-flexible silicon bra with straps can offer you ultimate comfort and grip while making your bust seem perfect. The straps help the silicone cushions rest well atop the shoulder, with your bra straps conveniently under your clothes and out of sight. As silicone is highly flexible, silicone bras have better moulding and shaping capacity than their traditional counterparts. An added advantage of this bra is that even sweat cannot reduce the grip of its V-STYLE layer and its breathable design enables the skin to do aerobic respiration. Lighter than the traditional bras, you will not experience any fatigue or discomfort on wearing it. It highlights the curve of your breasts and is convenient for dresses like backless costume, bare shoulder costume, tight stitch and so on. Silicone is a soft material and offers good breathability. The inner coating of silicone bra uses organic silicone with good adhesive. This makes it comfortable to wear and helps it stay in place even after intense exercise. Silicone bras provide comfort and breathability thus, safeguarding the sensitive parts of a woman. They are also easy to wear and take off and leave no fabric scratch or bite on the skin. The durability of silicone bra solely depends on its maintenance. You can rinse it using a gentle soap and water and place it on a towel to dry. In addition, frequent washing does not affect its thickness. You must have a deep know-how about silicone bras before investing into one. If it is your first time, you will definitely need some help. As bras cannot be chosen on a trial and error method, for obvious hygienic reasons, it cannot be returned. As bras come in a variety of cup sizes, if you know that you have a discrepancy, it is preferable to go for one size bigger. Just ensure that it moulds your breasts perfectly. So, if you plan to buy a bra to complement your backless gown or a strapless top, then safely opt for silicone bras with straps. Shopping for a silicone bra is not at all difficult; a sales person in a lingerie shop will be able to help you. Though it is not a cakewalk for a novice, you can easily manage if you have some help. Advantages: Satisfying quality, ideal service and small order(drop ship) acceptable, Great for swimwear,under sweater-dress,low-back evening dress,interview suits or for everyday use. Backless dress/Wedding dress/Evening dress/Underwear/Swimwear etc. Perhaps you're overwhelmed by the extensive selection many lingerie stores carry today, or maybe you're looking for the perfect special-occasion bra. In either case, it's easy to buy a silicone bra that flatters your figure, gives you appropriate coverage and works with the most daring necklines. and strapless, so you're buying based exclusively on your cup size. that closely matches your skin tone. and look great under your clothing, but test it out before you wear it for a major event. Our products are fully made from German/France environmental protection raw material,the products has owned OEKO-Tex certificate and I.T.S test. 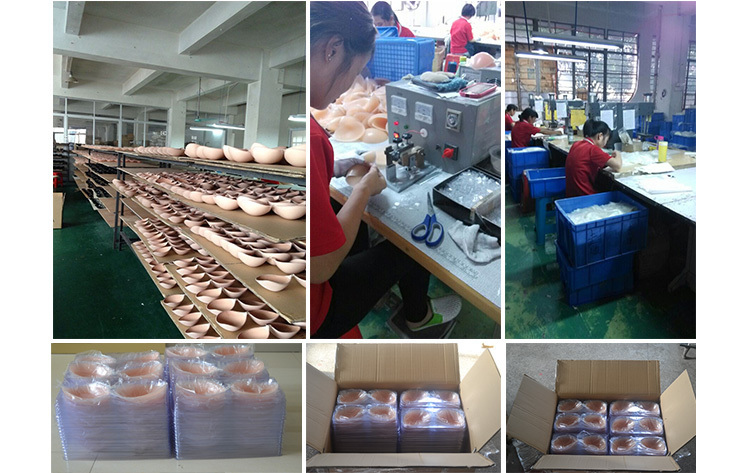 All the products have been exported to overseas countries and wildly used in lingerie and garment sector. accessories in China since 2000 located in Guangzhou economic zone.Our factory mainly produce garment and underwear accessories. injection machine . We own R & D department work with customer in new development and new moldings. best service"We do 90% export orders , Our factory use good imported raw materials from German, France, etc, our quality has been certified by OEKO-TEX-100. And I.T.S. test . We shall appreciated for the opportunity to cooperate with all company all over the word with our best service. 1.Upon receipt of payment, samples 1-3days. and Bulk order delivery will be 7-15days. 1. T/T , D/P, L/C, Western Union are accepted depond on order amount. 2. 30% deposit before production. 3. All bank charges outside China are on buyers. A: We are a factory established in 2000 loated in Economic Zone of Guangzhou,China. 2.Q: Where is ur factory? A:Our factory located in Economic Zone of Guangzhou. China. 3.Q: What is your acceptable payment term? D.Western Union, Credit Card, Escrow. 4.Q: What is your delivery time for Bulk production? A: 5-30days depend on order quantity. 5.Q: Can you make other color? 6.Q: Do all ur products certified and Environmental friendly? A:Yes, all our products is certified by Oeko-Tex-100,SGS, ITS.